Learn more about the neighborhoods of Louisville. 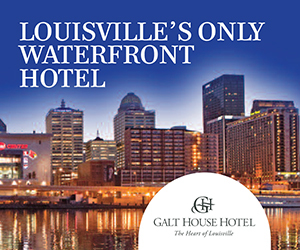 North, south, east or west – Louisville offers a wealth of attractions and fantastic historic architecture in every direction. Explore all of our unique neighborhoods and communities: Downtown, Old Louisville, Bardstown Road - Baxter Avenue (The Highlands), Frankfort Avenue, East End, Beechmont, and Nulu. know an adventure through Louisville bares striking similarities to the Big Apple. Dive right into the heart of downtown Louisville by visiting our “Times Square” area Fourth Street Live!, where the bright lights will lead you to fun spots like Howl at the Moon and the Jim Beam® Urban Stillhouse. Right up the road is Louisville’s historic Whiskey Row, an area full of history and character like NYC’s Greenwich Village. Appropriately named Whiskey Row, as it was home to the Bourbon industry in Louisville, this area of Main Street is returning to its roots with sites like the Evan Williams Bourbon Experience, Peerless Distillery and more. Nestled right on the edge of downtown is our very own Meatpacking District, Butchertown. It isn’t just the name or industry that aligns these two; it’s the exclusive nightlife and dining. Head to Butchertown Grocery for a mouthwatering culinary experience, but don’t forget to sneak up the back stairs for a hidden craft cocktail hotspot and live music. After drinks, follow the music to Play for a night of drag shows and dancing. Hipsters rejoice! Our local ‘hoods like the Highlands and NuLu will remind you of famous Brooklyn boroughs, offering a view of local culture with coffee shops, breweries and laidback bars at every turn. The Highlands will bring to mind Park Slope; full of historic housing, with a strip of local dining like the original farm-to-table restaurant Lilly’s Bistro and local brew spots like the Holy Grale, located in an old church. Brooklyn’s Buschwick has been called the coolest neighborhood around, but NuLu can compete with a coffee shop that doubles as a record store (Please & Thank You), unique cuisine at the Mayan Café (have the lima beans – trust us) and Garage Bar, a hip place for drinks, pizza and a little outdoor ping pong. Come explore our trendy neighborhoods and see how they stack up to your big city favorites! Long known as “Restaurant Row," The Highlands, Baxter Avenue and Bardstown Road are home to a number of eateries offering every kind of culinary delight. Louisville’s traditional South End neighborhood has a rich history that continues to be written. One of Louisville's original neighborhoods, Portland. Butchertown was Louisville's original meatpacking district with butcher shops dominating the area in the 1800's. 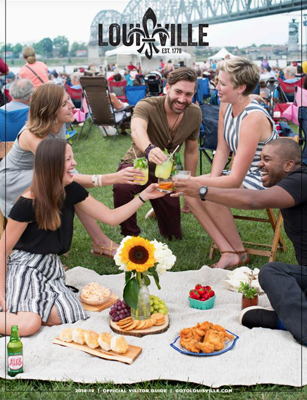 Experience Louisville's authentic neighborhoods like a local. Our Airbnb hosts are serving up spirited Southern hospitality.